Visited LOK in 2004 for a week's break and had a clean room, near the lovely pool area with regular maid service. Apart from the Scottish receptionist being a bit gruff the staff were pleasant and helpful & as extensive travellers we listed it as inexpensive and a good base. This stay lead us to book again in September 2007 but for a different reason. We decided to sell up and move to Paphos so booked a one way flight with XL and emailed a booking to LOK ourselves which was confirmed promptly and we looked forward to our property hunt. Then we arrived! Gruff receptionist was almost insolent when we arrived at 9.30pm, guess she had a long day we said. But, oh dear, the room was scruffy and dirty, there were ants everywhere and the restaurant was closed for refurbishment so we walked to a nearby tavern. The next day we saw our room in daylight and this just appalled us. We expected 'cheap & cheerful' and got 'not very cheap' and definitely not cheerful. The maids threw bedding on the beds and left the furniture strewn round the room, the towels were taken but not replaced. The curtains were hanging by a couple of hooks and ripped, the shutters didn't close properly or lock. The kitchen area had no utensils and was so filthy I refused to even eat breakfast in it. Not forgetting the "ladies" who brought "friends" back to their rooms for a "visit". We complained....... an obvious mistake, as they said they had no other rooms (the place was almost empty) and the maids then left cigarette butts in the room and disappeared with our toilet rolls (not supplied, we bought it from the shop) and bedding which we had to fight to get back from reception who inferred that we had stolen it! Trust me, if I was going to steal something it would not be worn out sheets and stained pillow cases with burn holes! The reception staff were even ruder than we remembered, I carried my passport with me everywhere because I saw security boxes left open with belongings inside while they chatted on the phone in a separate office! We went out viewing properties every day and did the best we could only to return when extreme tiredness took over. Luckily on our 4th day we found the apartment we wanted to rent and decided to move in immediately although we had no furniture and were booked at LOK for another 3 days. We bought a blow up mattress and a couple of blankets and slept on the floor in our apartment for three weeks until our furniture arrived. It was Luxury by comparison! When leaving LOK (obviously earlier than we had booked) the receptionist did not even look at us when we handed in the keys, never mind asking us why we were leaving early. I guess it was pretty obvious. Since moving to Chloraka (our new home) we saw LOK close down in November and complete refurbishment has been undertaken. However, the way we feel about the place we wouldn't care if it was demolished and made way for a decent hotel or apartment complex! We will never be returning with it's current management, refurbished or not! I suppose we should reserve judgment now until it reopens but when our large family visit, and we can't accommodate them all, we will be housing them at another apartment/hotel complex in Chloraka, business we would have put to LOK. We arrived at 3.45 in the morning was given an room without air conditioning it was shabby and the cutlery draw was full of ants we could not sleep as it was so hot we complained the next morning and was told they only had a studio with air conditioning as our present room was a one bedroom we didnt care and moved to the studio this was in a better location by the pool as the previous one was overlooking wheelie bins and the rubbish collectors come at 6.30 in the morning we paid to move.The scottish receptionist was not very helpful and everything was too much trouble for her. Didnt eat at the complex. Location quite far out only karoke and elvis tributes for entertainment. Filthy room, could not be classed as basic. I am not fussy, I book basic because you only sleep in the place. Never again, worst accomodation I have ever seen, left after 2 days. Staff, Brian and Abu really helpful and friendly. The one meal we had was very nice, but accomodation was a disgrace. The rooms were pretty clean but you never knew when the cleaners were coming, some days they would come everyday, other days there would be a 2 day gap, at one stage we had no clean towels or toilet paper and had to wait 2 days for fresh. The bed clothes were clean although the settee in the room had stains on it. The location is out the way a bit, you would definatly need a car to explore. The hotel bar staff were extremly friendly, couldn't do anough for you, however there was a certain scotts receptionist who just didnt seem to care, she never smiled anddidnt seem to like helping anyone. Also the owner, a little old Cypriot lady who lives in the complex every so often came out one night when the bar was open and told us to be quite other wise she would turn off all the lights, now i wouldn't have minded if we were youngsters making a loud noise, but we're in our 50's and was just chatting and having a giggle. Not what you expect when you go away. The entertainment was very good, it had kareoke, Cyprus night, a live singer, and a parrot show, not what you expect in a 2* but it was very entertaining. Although i quite liked this hotel, i wouldn't come again, we had a blanket fire extinguisher in our room, but when we looked closer, the box was empty, there was another fire extinguisher that should of been on the wall in the hall but was missing, we had a rip in our curtain, and the switch on a plug socket in the living room was falling off. The shower hardly had any power and our bathroom sink blocked up. We booked a holiday to Paphos not knowing where we were going to be staying, having been to Cyprus a few times before we were not too worried about this. However, the Land of the kings was not a place we would have booked to stay in. We stayed here 17 years ago and then it was very nice but I dont think it has been touched in all the time since, although the bed linen and towels were clean enough they were very worn and washed out and the apartment its self was quite tatty looking, the insides of the wordrobes and the cupboards was not very clean. The pool area is still ok although there was a noticeable lack of umbrellas but plenty of sunbeds. The general area around the land of the kings is very tired looking with awnings ripped and some of the paint peeling and the seats in the reception area have seen better days and looked a bit grubby. As it was late in the season they had the last Greek night the week we were there so cannot really comment on the entertainment. We would not stay at the Land of the Kings again. We arrived and were told that our room did not have air con so we could hire a fan, which we did. The room was very tatty and hot. We have a 3 month old baby and therefore asked if we could be moved to a room with air con which the Hotel obliged 2 days later. This room was very good but the plumbing sprung a leak and we had to be moved again. Our 3rd room was also very good. It appears there is a great variation in the quality of rooms across the complex. 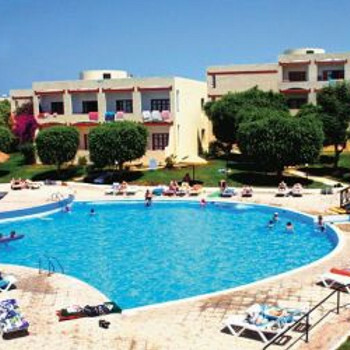 The pool was clean and maintained daily, there were no issues with sun beds. And a very relaxed atmosphere at the pool. The restaurant staff are very good, but all other staff would probably benefit from some customer service training! The hotel food is ok and comparable to other restaurants. The location is ok if your prepared to take a taxi, and taxi's are pretty cheap. The entertainment is fairly sparse but the Cyprus night is worthwhile. The hotel is shabby but clean. It is 2 star so you get what you pay for. When I read the reports on this place before we went, we was thinking of cancelling, but I glad we didnt. We did not find the horror stories that others had found. Yes its a bit tatty in places, but nothing that a good lick of paint and some tlc would sort out. Yes we found some ants, but when you have kids and they drop crumbs, what do you expect? Maid service = Frequent, every other day, could do with training on how to sweep correctly and I dont think they done anything in the bathroom apart from empty the toilet paper bin. They supplied fresh linen and towels every other day, clean and crisp. Swimming pool = On arrival very clean, but near the end of the 2nd it was very murky and you could not see the bottom, daily they would clean around the pool, sweep and mop, wipe sun cream stains from the side of the pool, but they really needed to add fresh water, which they did at the end of our 2 weeks. Waiters & Food = Tony the manager is a nice bloke, but he spoilt it by making you feel uncomfortable when you left site to eat at other places, the waiters would also queistion you, but having said that the food they served was very good, on par with everywhere else on the island, the service on site was quick and friendly. There are not enough sun beds, and more importantly there are only a handfull of umbrellas, and in that midday heat you need shade. Childrens play area, what play area?? or do they mean the 2 wooden swings that are broken?? It would seem that depending on what tour operator you whent with, what block you was allocated, some blocks are better that others. Other that that had a good time, really enjoyed our holiday made even better by the friendly people who were also on holiday, a very good crowd. The hotel was very dirty and in need of complete refurbishement!! Not very child friendly and continuous noise from the building site all round the complex. We were up at five every morning due pole driving which shook our room. The owners have a don't care attitude to thier customers and don't want to know the problems they've got! I wouldn't recommend this hotel to anyone, keep away at all cost!! The best thing to do is to bulldose it down to the ground.